Commonwealth Chimney Sweeps in Harrisburg, PA is a chimney service contractor. 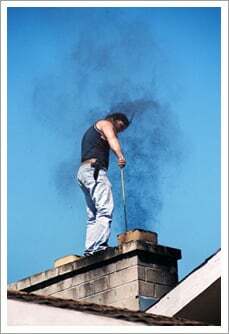 Why Clean and Inspect Chimneys? Commonwealth Chimney Sweeps is a full service chimney company established in 1979 with a genuine commitment to professional, affordable & personalized service. Our partners and staff come from a wide range of backgrounds such as chimney cleaning, water proofing, relining and crown repair services. With over 33 years of experience Commonwealth Chimney Sweeps in Harrisburg, PA has earned a stellar reputation for its comprehensive services. We are licensed (#047080) to serve the residential and commercial clients of South Central Pennsylvania. In addition to chimney cleaning, relining and masonry repair, we also offer a variety of accessories for hearths, wood and gas stoves. Choose our chimney experts to visit your site and provide you an expert solution to fulfill your needs. Copyright © 2013 Commonwealth Chimney Sweeps. All rights reserved.